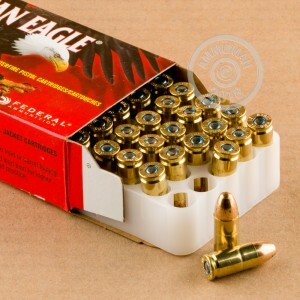 When indoor exposure to lead or hazardous materials used is a major concern, look no further than Federal's Toxic Metal Free ammo. 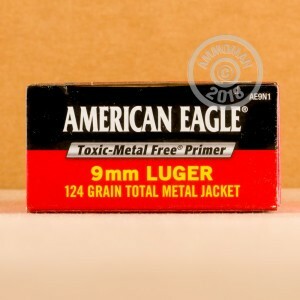 These rounds use lead-free, non-corrosive Boxer primers as well as total metal jacket bullets to add an extra layer of protection for the shooter. Total metal jackets, although not suitable for use in ported barrels, are a great range choice as they cover the entire bullet, including the lead base that is usually left exposed on FMJ rounds. This 1,000 round case is the perfect choice if you shoot regularly indoors and comes at a volume price. All of these rounds use reloadable brass cases. Pick up this case or anything else totaling $99 or more and discover one of the biggest perks of shopping at AmmoMan.com: free shipping for large orders.